It’s amazing how when we do a little exercise on a break it really recharges us for the day! 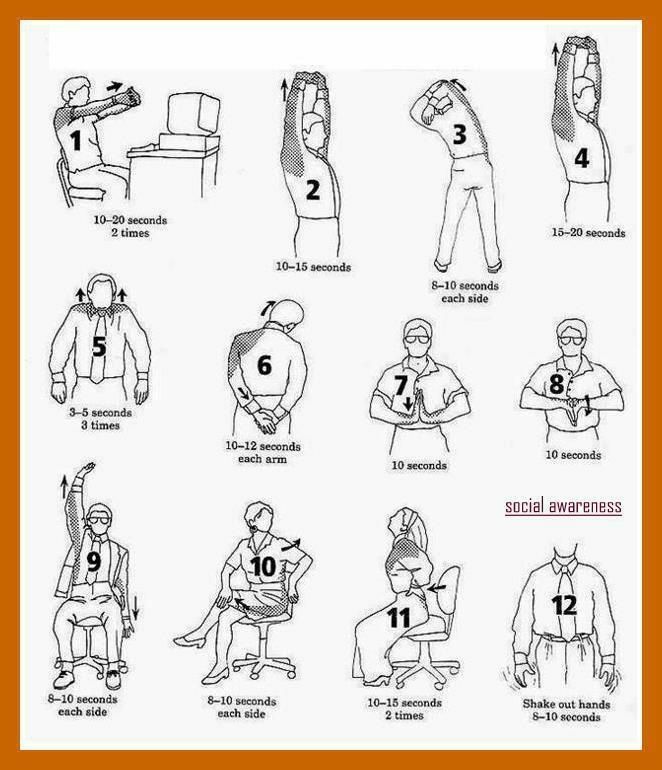 We’ve been seeing lots of great sources of workplace yoga or stretching options. Each of these has its own unique angle – some are specifically for desk workers (PSRs, here you go!) and some are more things you can do in the break room. Some are video, some are blog posts, some are great visuals that you can print up and post on the wall. 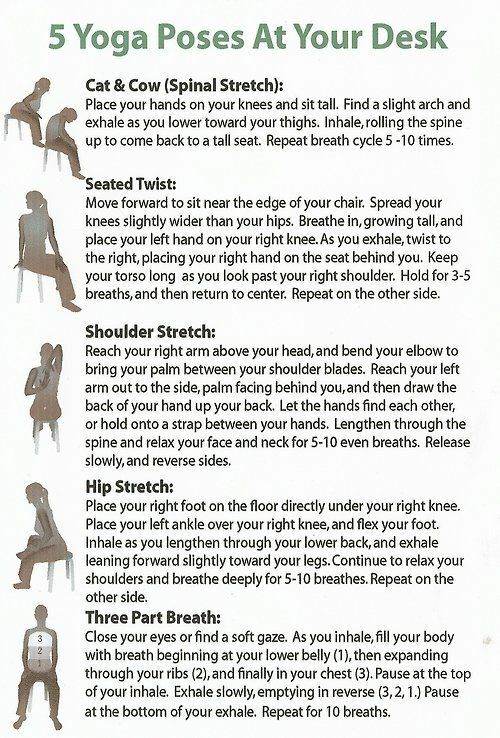 Many contain about the same stretches – which of these work best for you? Although you have to endure an ad to get to it, this 90 second video of super simple stretches provides a great routine you can do throughout the day. Again, these start with ads, but the series of 15 separate 2-minute yoga breaths or poses gives you something different to do every day for three weeks. This printable JPG covers all the bases… 15 stretches with images and descriptions. This JPG is good for printing and keeps it simple. I found it on pinterest- does anyone know the source? From “social awareness,” another quick and simple jpg. I particularly like that this one has suggested timing for each stretch… since I’m always cutting it short! This page uses words (not pictures) to walk you through some basic poses.